John Paul the Great Catholic University is accredited by the WASC Senior College and University Commission (WSCUC), 985 Atlantic Avenue, Suite 100, Alameda, CA 94501, 510.748.9001. The WSCUC accreditation process aids institutions in developing and sustaining effective educational programs and assures the educational community, the general public, and other organizations that an accredited institution has met high standards of quality and effectiveness. JPCatholic began its accreditation journey in January 2007 by applying to WSCUC for Eligibility. Once WSCUC determined Eligibility (May 2007), the University began its journey towards Candidacy and Initial Accreditation. WSCUC reviewed the Candidacy application and in March 2011, the University was recognized as a Candidate for Accreditation. JPCatholic completed the Capacity and Preparatory Review (CPR) site visit in September 2012 and the Educational Effectiveness Review (EER) site visit in October 2014. Following the EER visit, WSCUC notified JPCatholic of Initial Accreditation on March 6th, 2015. WSCUC notification letters and team reports are available on our WSCUC institution page. Voluntary, non-governmental, institutional accreditation is a unique characteristic of American education. Institutions are not required to seek accreditation; however, because of the recognized benefits, most eligible institutions seek to become accredited. The accreditation process assists institutions, like JPCatholic, in developing and sustaining effective educational programs and assures the educational community and the general public that high standards of quality and effectiveness have been met. 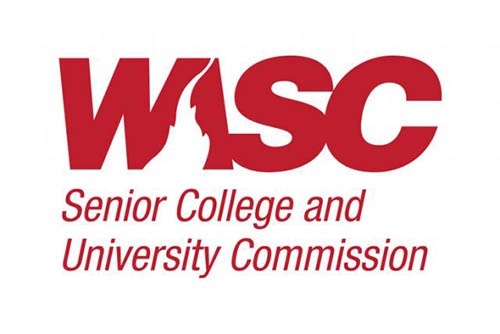 Questions about accreditation may be directed to JPCatholic or to WSCUC at http://www.wascsenior.org/contact or 510.748.9001.